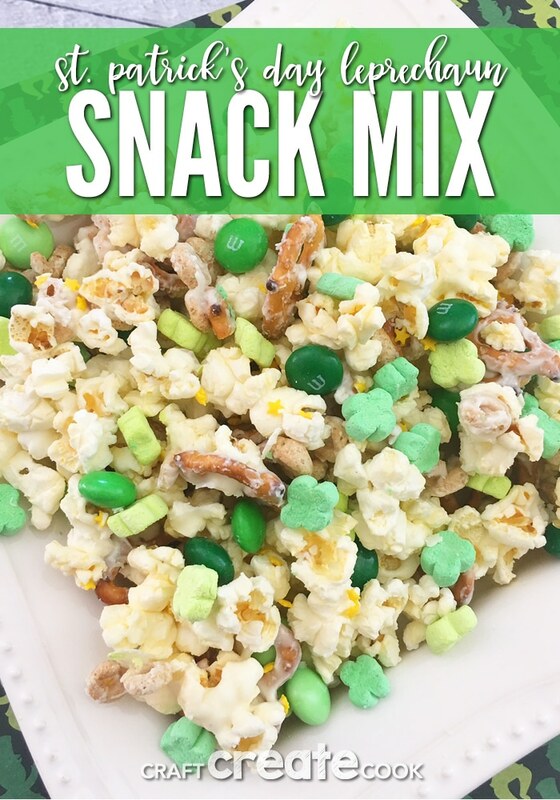 This St. Patrick’s Day Leprechaun Snack Mix is simple to make and with its salty and sweet flavor it’ll keep you coming back for more. We are not too big on celebrating St. Patrick’s Day in our family since none of us are Irish! But we do wear green (Go Michigan State!) and enjoy a good St. Patrick’s Day treat or a fun craft. 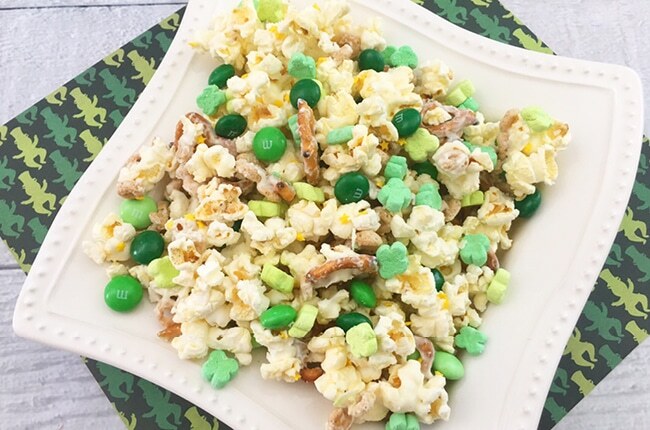 We love this St. Patrick’s Day Leprechaun Snack mix in our house, it’s a large enough batch that we like to bring a bag to the Grandparents as well. 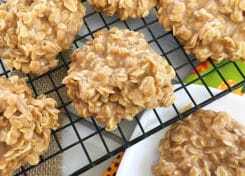 And you can easily customize the recipe for any holiday so you don’t have to wait till the next St. Patty’s day to make it again. 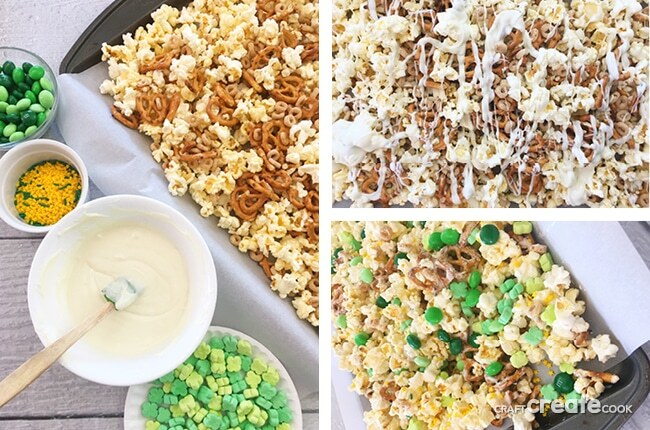 Line a baking sheet with a piece of parchment paper and spread our your popcorn, Cheerios, and pretzels. Gently mix. Heat your white chocolate chips in a microwave safe dish on 50% power for 2-3 minutes, stirring every 30 seconds until melted. Pour your melted chocolate over your snack mix and toss with a spoon until your mix is evenly coated. 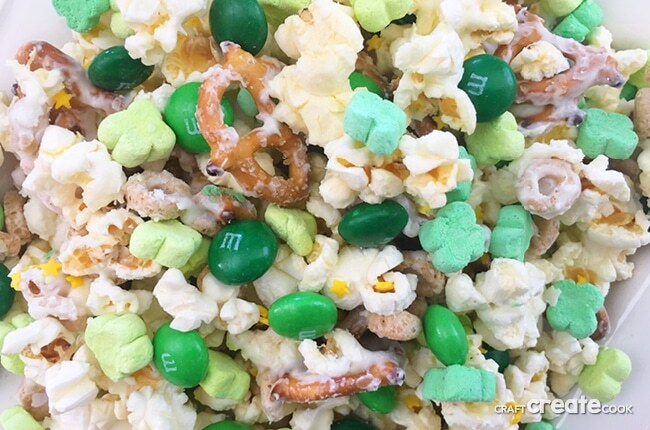 Sprinkle your M&M’s, clover marshmallows, and jimmies over your mixture and gently toss. Let your mixture harden (let set for15-20 minutes or toss into the refrigerator for 5-10 minutes, break apart, and serve in a decorative dish. My favorite part about this is the added mint flavor from the M&M’s! What makes you come back for more? Let us know in the comments below! 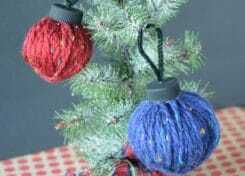 Recipes, fun, creative crafts and DIY tips and tricks. 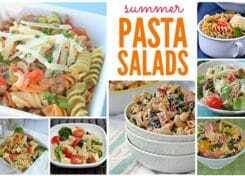 11 Delicious Pasta Salad Recipes for Summer!